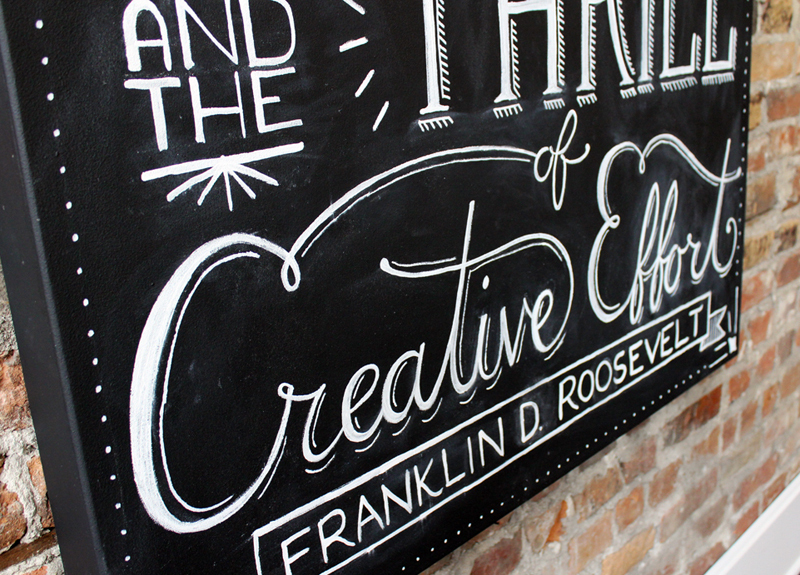 We had the opportunity to be apart of the chalkboard canvas series at GROW, a local digital agency. 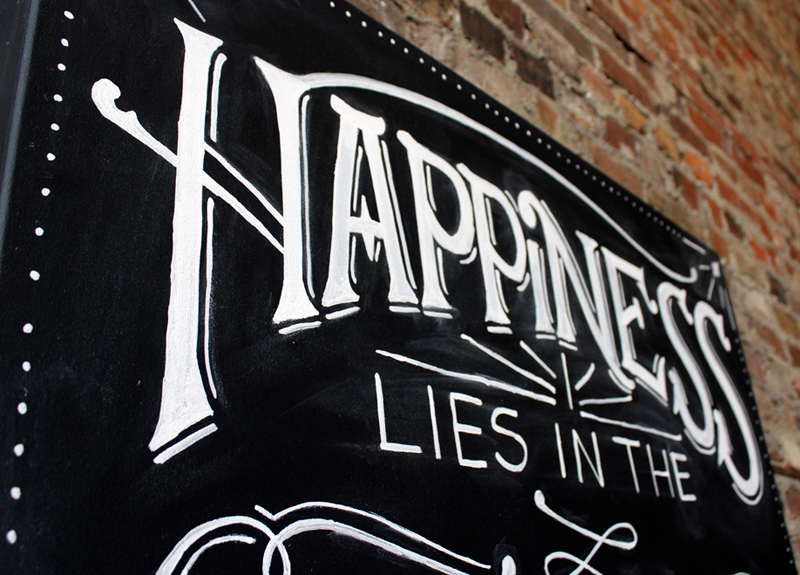 This series offers local artists the opportunity to showcase their creative talents only in chalk. 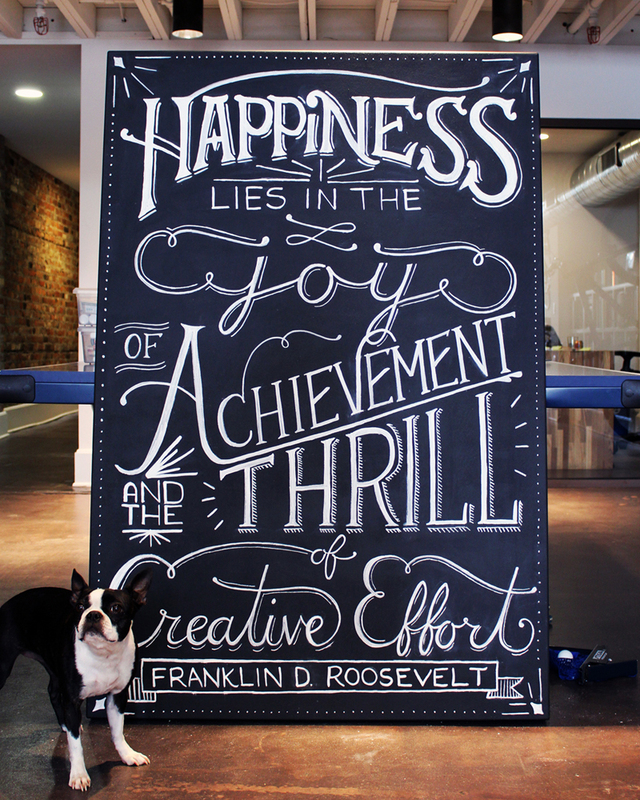 We had the pleasure of doing their first typographic chalkboard. 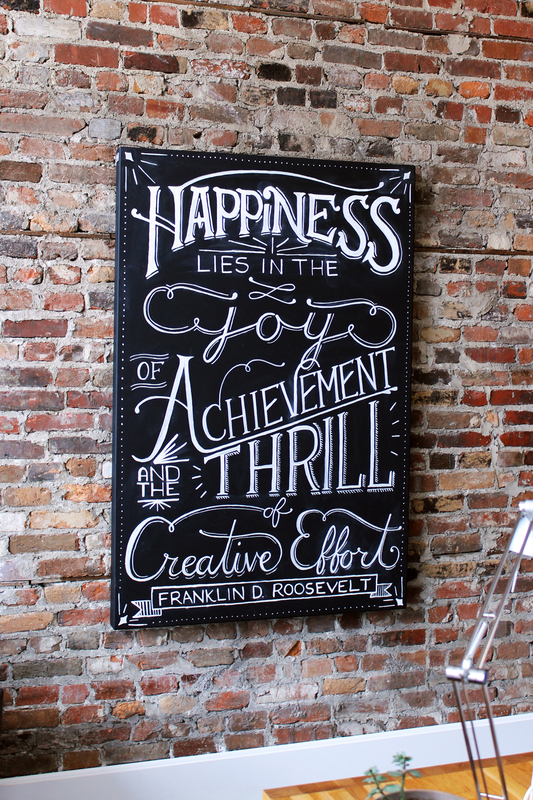 We chose this particular Franklin D. Roosevelt quote because we thought it embodied the creative environment GROW represents and we hoped that it would inspire the employees every morning as they walked into work. This experience was not only about the final piece, but about the act of completing a 3’4” x 5’ canvas in just a couple of hours. 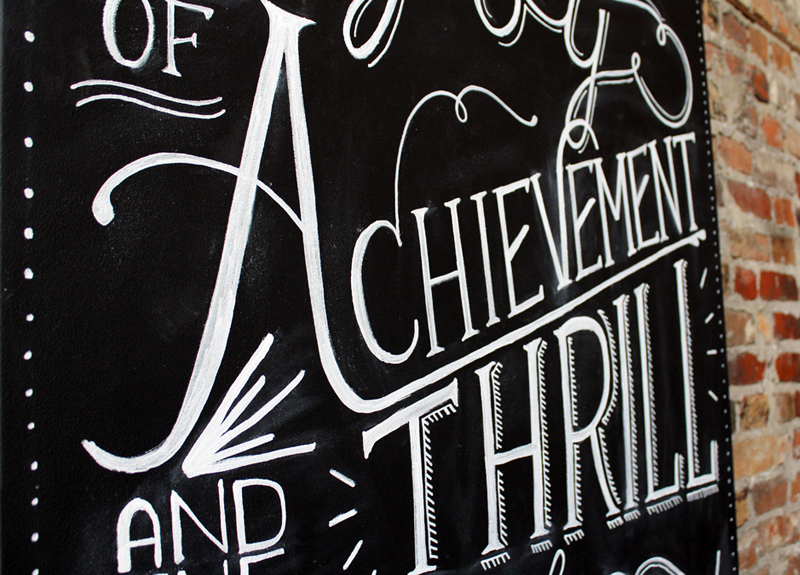 To capture this experience, we created a time-lapse video of the process.